The HEATKILLER® SW-X DIY is an universal water cooler for voltage regulators on mainboards. With the HEATKILLER® SW-X DIY cooling voltage regulators becomes possible on mainboards with no specifically adjusted cooler available. Other applications are imaginable as well. The cooler's bottom plate needs to be individually adapted to the correct size and equipped with mounting holes by the user. 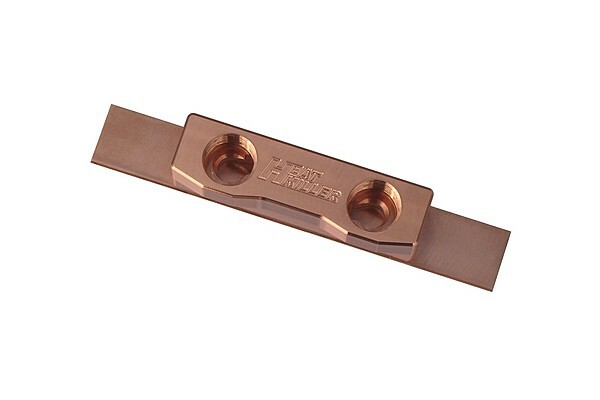 The bottom plate has the following dimensions: 100 x 15 x 2 mm. Thermal interface material is recommended but not included. Screws and nuts for mounting are enclosed.